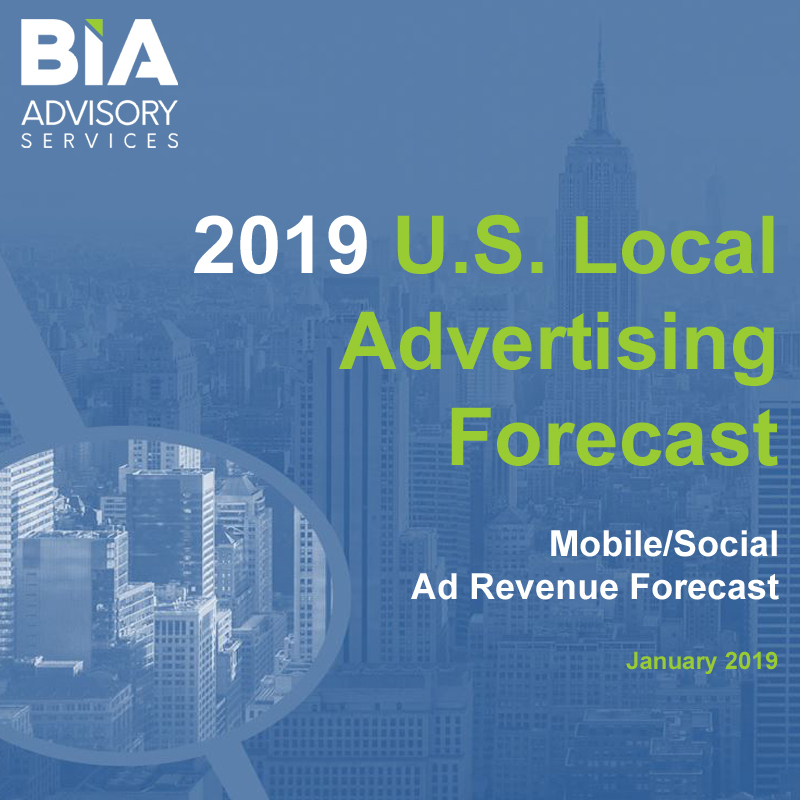 The U.S. Local Advertising Forecast 2019 delivers a five-year national overview of total U.S. spending in local markets and market-based advertising revenue estimates for top media. 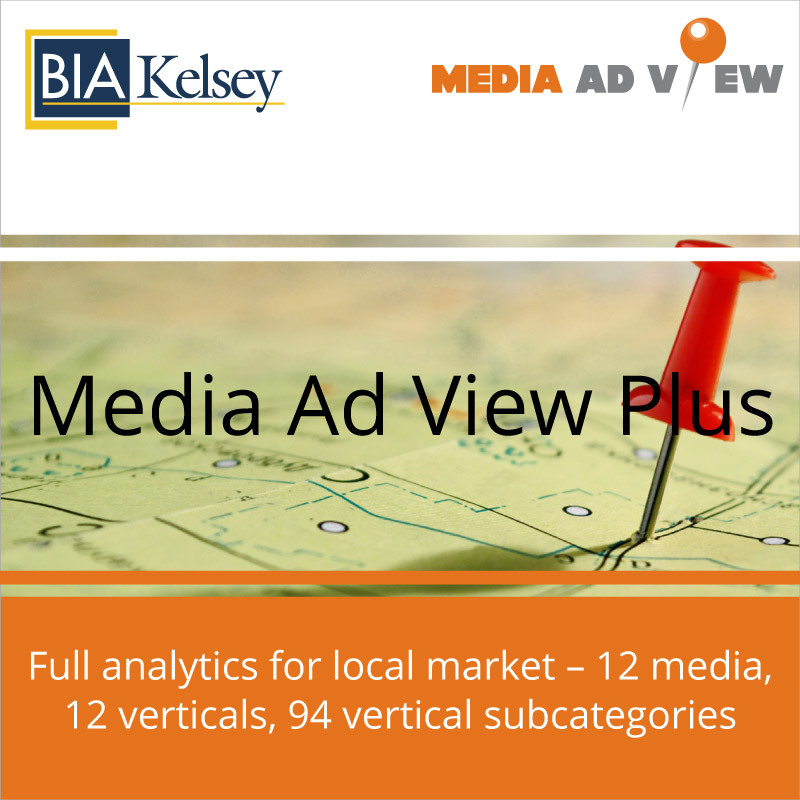 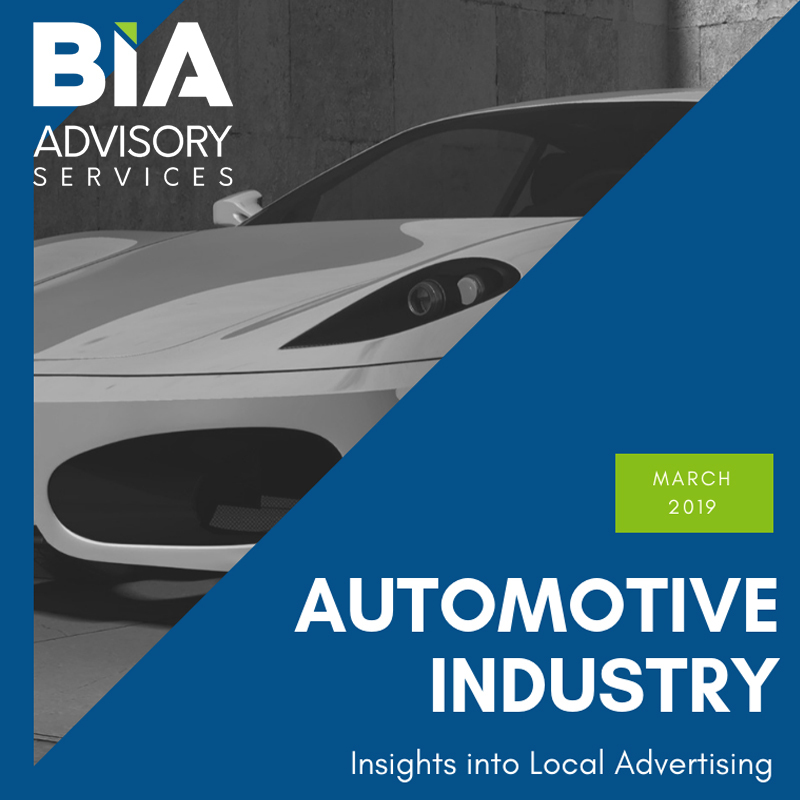 BIA Advisory Services defines local advertising as all advertising platforms that provide access to local audiences for national, regional and local marketers. 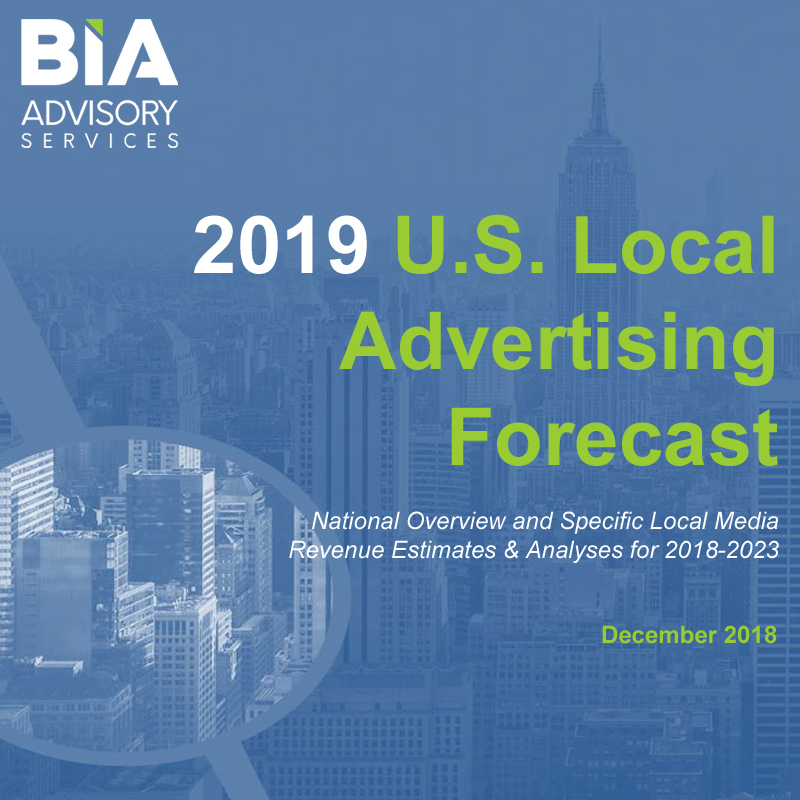 The forecast offers a comprehensive and authoritative view of the local landscape and delivers an objective and credible five-year market outlook. The forecast includes expert analysis by BIA’s Chief Economist, Mark Fratrik, that provides valuable analysis on the key drivers and assumptions behind top-line numbers. 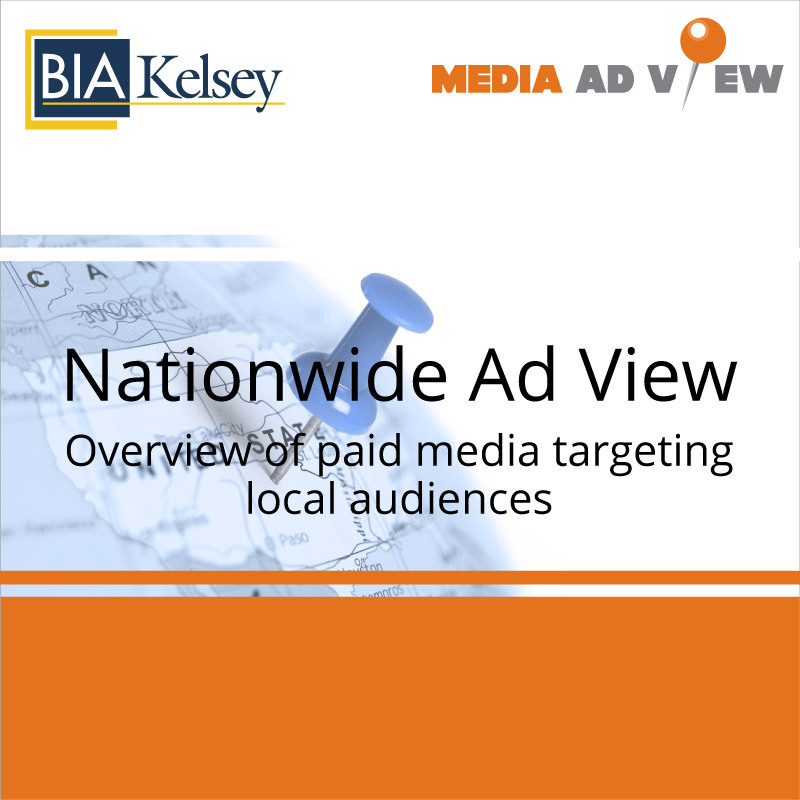 In addition to the national forecast, individual top media.